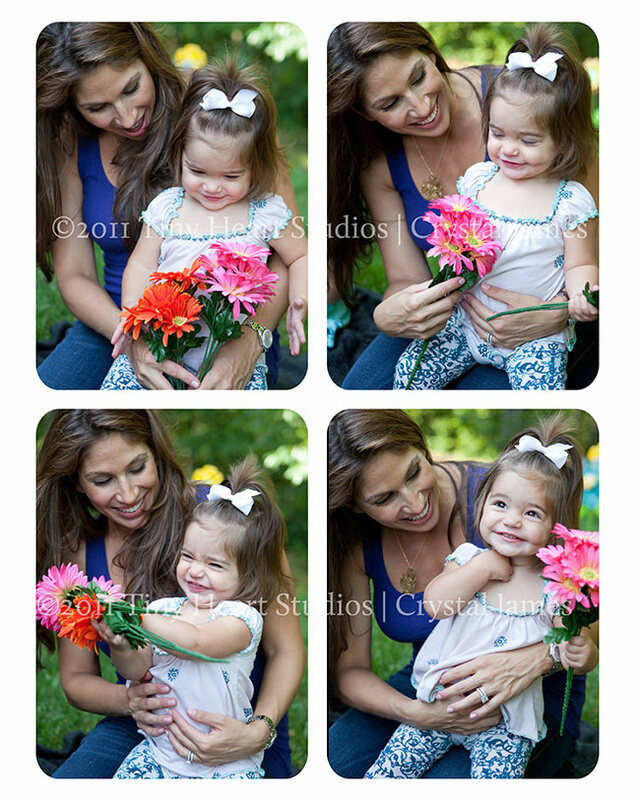 I really had a wonderful time with the moms during my mini sessions. Often times we spend so much time behind the camera and we really don’t get in the pictures (except for a couple posed family shots where we ask a passerby to quickly snap our photo). I don’t usually do a lot of “collage” creations because having too many pictures can take away from the special moment in an image. For these two, it’s the opposite. 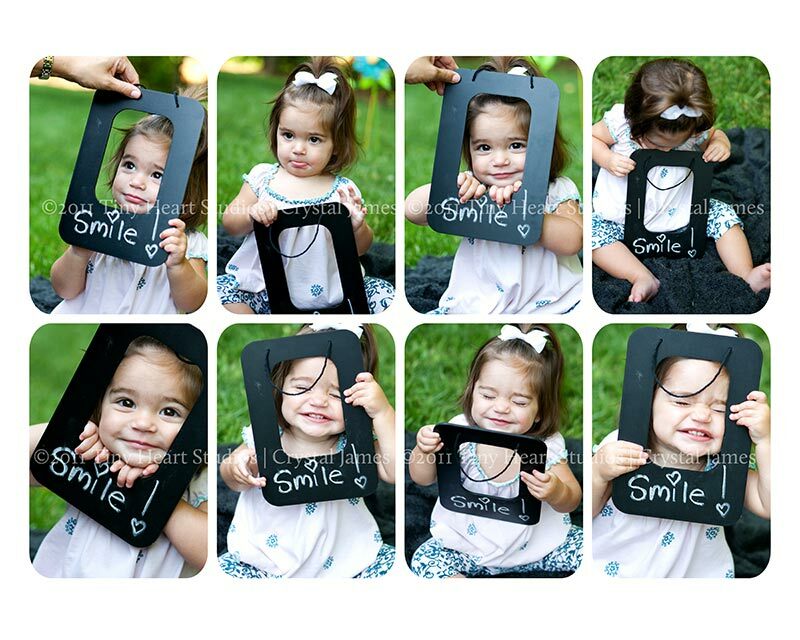 This first collage tells a story with mom and her baby girl, having fun, being silly, and giggling together. The second collage tells the full story behind getting miss Chloe to do exactly what we wanted with the little chalkboard frame. While I would probably just choose one of these to enlarge, I think they are super fun together as a storyboard for a child’s room or playroom. Mary Catherine – soo cute! i love the pictures and the girls!! Anna – OMG these are ADORABLE!!!!!! : ) LOVE LOVE LOVE!!!!!! !